Dotie Joseph practices civil litigation, including civil rights, employment, personal injury and commercial litigation; she also practices municipal law. 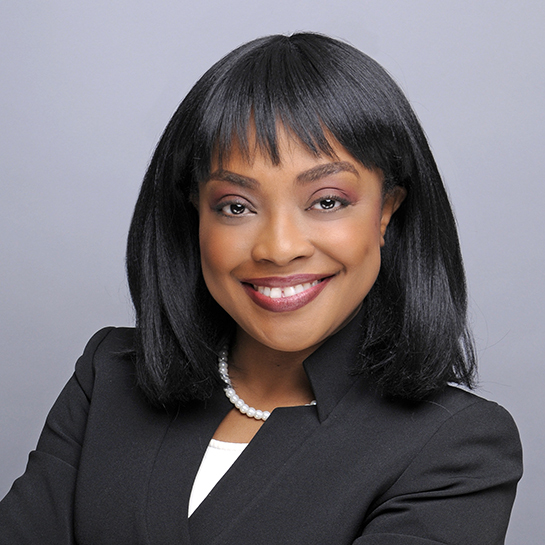 Prior to joining the firm, Ms. Joseph served as a Partner in a boutique litigation firm, as Interim City Attorney for North Miami Beach, as an associate with several firms, and as a Judicial Law Clerk to Judge Eugene Hamilton in D.C. Ms. Joseph was an Employment Fellow with the American Bar Association, serves on the Florida Bar Federal Practice Committee, and is an occasional lecturer on Employment Law for the Florida Bar. Ms. Joseph is admitted to practice by the Florida Bar, the District of Columbia Bar, and before the U.S. District Court for the Southern District of Florida, the U.S. Court of Appeals for the District of Columbia, and the U.S. Supreme Court. Dotie Joseph has received a “Woman on the Rise ” award from the Dade County Bar Association, a “40 Under 40″ award from Legacy Magazine, and was honored as a “Woman of Substance” by the Miami-Dade County Board of County Commissioners. Ms. Joseph currently serves as First Vice-Chair of the Miami-Dade Democratic Party and is a Board Member of the Miami-Dade Black Affairs Advisory Board. Previously, Ms. Joseph was President of the Haitian Lawyers Association, an Advisory Board Member of Sant La Haitian Neighborhood Center’s fellowship program, and a Board Member of the New Leaders Council (NLC) Miami Chapter. She is also a graduate of Leadership Miami. Dotie Joseph is a graduate of Yale University and Georgetown University Law Center.